Glenn L. Roe, 57, of Farmingdale passed away on Wednesday Oct. 31 2018. He was born in Somerville, to the late Betty and George Roe. Glenn lived in Lincroft with his parents before moving to Farmingdale when he was 37. 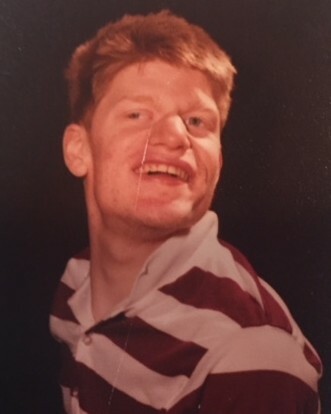 He may have not spoken a word his whole life but he sure touched the hearts of everyone that knew him with his smile and personality; he was involved with the ARC Program of Monmouth and went to the Shore Achievement Center in Tinton Falls. Glenn was predeceased by his brother Brian in 2013. He is survived by his beloved brother Dennis Roe of Ocean Grove; Gary Roe and wife Sue of Shrewsbury; Steve Roe and wife Catherine of Middletown ; his younger sister Cheryl Roe/Rust and husband Ray of Tinton Falls; and a sister in law Maria. Also, surviving are his adoring nieces and nephews Jen and DJ Roe; Dave Roe and his Fiance Marcie and son Kaiden ; Hunter Roe; Samantha and Ashley Rust. As well as his family/ friends at Farmingdale Group Home where he resided for the last 20 years and was taken care of with much love and kindness by all that took care of him there. Family asks that in Lieu of flowers donations be made in Glenn’s memory to the ARC of Monmouth in Tinton Falls. All arrangements for Glenn will be private and under the care of John E Day funeral home in Red Bank. Please visit Glenn’s memorial website available at www.johnedayfuneralhome.com.